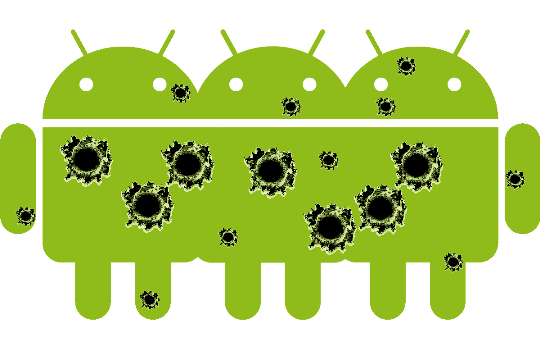 The tremendous strides made by Android as an operating platform for mobile phones and tablets has not gone unnoticed by malware developers and hackers. More than a billion devices have been sold and that offers tremendous opportunities to such developers. They are also helped by the fact that most users still do not perceive their device as something that can be hacked into and are lax about security. They do not understand or think that the Android gadget is just like their desktop or laptop and is susceptible to virus attacks. So What Kind Of Security Risks Do Android Users Face? The motive of hackers and malware developers is to get access into the system of the device. Earlier they used stuff like pen drives that victims found abandoned and upon usage found their devices infected with software. Emails have also been used. But users have become smarter and no longer fall prey and such threats have also been effectively neutralized by antivirus programs. Today, hackers have found loopholes in the Android OS that they can exploit which they are doing through the ‘rooting tool’. This tool enables them to access the Linux kernel which is the base of Android and through that they are able to get root permissions to manipulate the device as per their wish. They are able to copy files and other private data of the user and also create a backdoor for future attacks. This flaw within the Linux kernel was exploited by hacker George Hotz to release the TowelRoot tool as well as unlock even the iPhone. The TowelRoot is available for download and the developer says it will work on all versions of Android phones that were manufactured before the 3rd of June. Since the Linux kernel is even present in Kit Kat 4.4, most of the commercial phones are exposed to the threat. Users are tricked into installing a malicious app that is rather common in Android applications markets. The only way to prevent this is to have a robust security app which would be able to detect this malicious app and prevent the install well on time. Major brands appear to have been caught napping. One such brand is Samsung whose Samsung Knox which is a security feature in phones of this brand has been found unsuccessful in preventing this app. To combat both fragmentation and the security loop holes in the Android system, Google has been taking steps like its Android One and the launch of the Android Lollipop. The latter OS boasts of much better security features such as encryption of data by default when the device is switched on for the first time. Having mentioned the above, Google needs to be wary of “rooting tools” used cleverly by hackers to manipulate system settings of user’s devices. It needs to make its systems more rugged and capable enough to resist malware apps effectively.